“Men Shouldn’t Be Feminine.” – Why’s That Shepherd Bigot? Shepherd Bigot is now a person in my eyes, this person represents around 30% of the world’s population why the other 30% is the Shepherd’s sheep and the other people are the nice, equality people! So, why am I talking about equality today, I hear you ask! Well, it could be due to the utter stupidity of most people on this planet! Or it could be due to the moronic responses of Penny Lancaster about masculinity! 1. She claims to believe in equal rights yet she believes that “cooking robs men of their masculinity”. 2. She also suggests that because of gender, “we’re different creatures”. Now, there are several things wrong with this woman and unfortunately she is a basic example of a hypocritical moron. 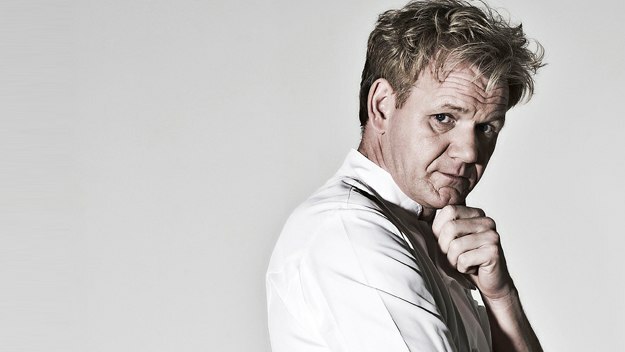 Gordon Ramsay – He looks very feminine doesn’t he? Another thing, if she wishes for men to want to do it their way… What if a man wishes to cook their way? Also, we’re not actually different creatures just because of our reproductive system…. Thats like saying there is a species Zebra called Male and Female. Wow…. So, how to I view equality? Well, I believe that ANYONE, not just men or women, should be allowed to do any job, love anybody and be who they are! Honestly, I don’t see how something as simple as a woman being the “bread bringer” and a man being a cook is bad! If a man wants to cook, its okay. If a woman wants to have a job while her husband takes care of the house and children, let it! If a woman loves a woman, let them. If a man loves a man, let them! If a man feels feminine and wishes to dress like a woman, let him. If a woman feels masculine and wishes to dress like a man, let her! If a male assigned person wishes to be gender fluid/bigender or agender, let them. If a female assigned person, like myself, wishes to be gender fluid/bigender or agender, let them! In other words, let a everyone do what ever they want, break the gender roles and the stupid sexuality spectrum. However, now I will quickly identify why I don’t call myself a feminist. Yes, I want equality between genders but it shouldn’t have to be about how a couple works within their own household. One person in a relationship will want to do some chores but not others while the other person will do others! If a male, in a heterosexual wants to cook, thats his choice! So, what I’m try to say is: Don’t let anyone tell you you’re wrong! If you’re a man doing a stereotypical womens job, a female doing a stereotypical mans job, a man loving a man, a woman loving a woman, a gender fluid person loving a gender fluid person! Its not wrong nor should it be seen as such a thing. I hope you all enjoyed this article! If you did, and you agree, please remember I’m here if you need me and lllranting.com will support you in anyway you need!